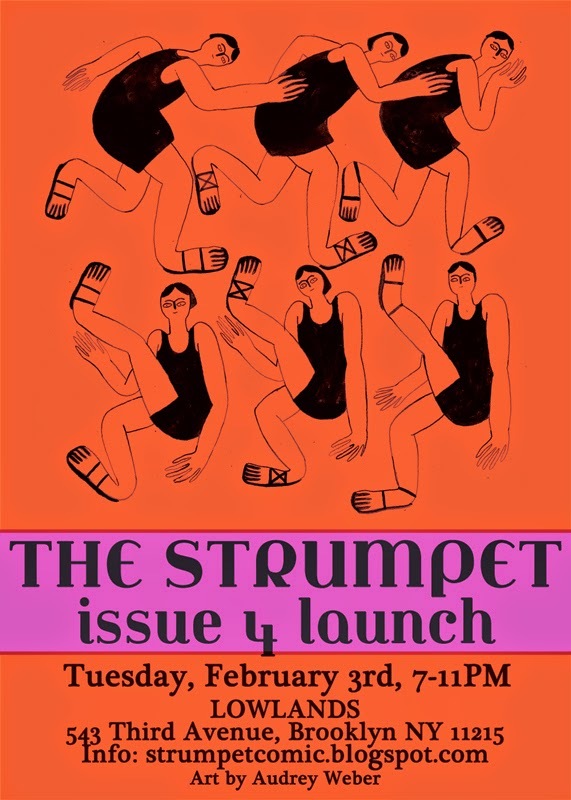 New York Launch - February 3rd! Our launch is here!!!! So exciting! There will be some great comics, some baked goods, beer, and our artists. Come along, and say hello! Raise a Glass! The Strumpet's Here! Strumpets Patrice Aggs, Evie Fridel, Ellen Lindner, Lauren O'Farrell and Rachel Yelding party in London, to celebrate the new issue! Thanks to our amazing Kickstarter supporters, we've been to the press and now Strumpet 4 is officially in existence. It looks SO NICE. UK orders went out over the holidays, and US orders are currently being shipped out. Extra bags are being sewn, button sets are being assembled - it's crazy! 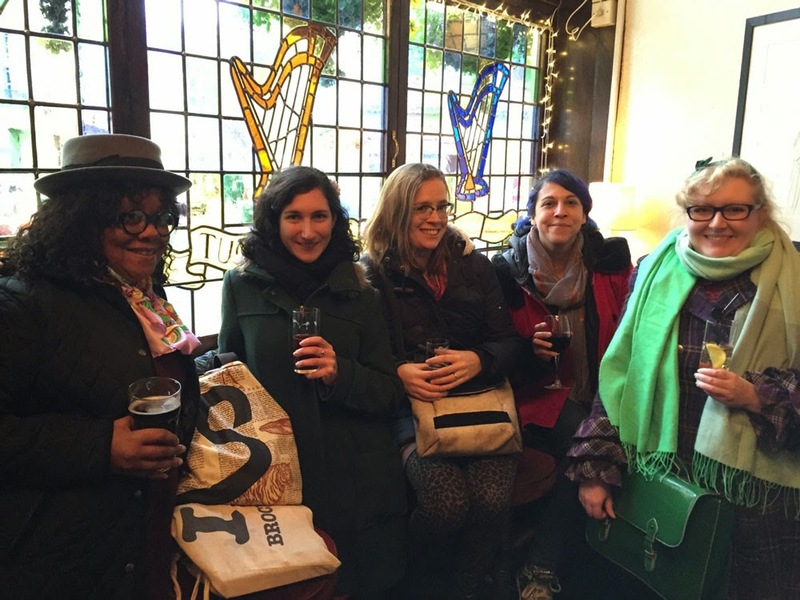 Due to the quiet time of year for Editrix Ellen's Euro sojourn we Strumpets opted for a quiet lunch and a pint to celebrate the new issue in Londontown - but there will be a New York launch announced very soon! In the meantime, we have just put the new issue up on Etsy. It is currently available at Gosh! London, and will be very soon at Bergen Street Comics. Check it out, and spread the word! We'll post news of The Strumpet's summer convention schedule as it gets solidified...until then, thanks for being such great fans!